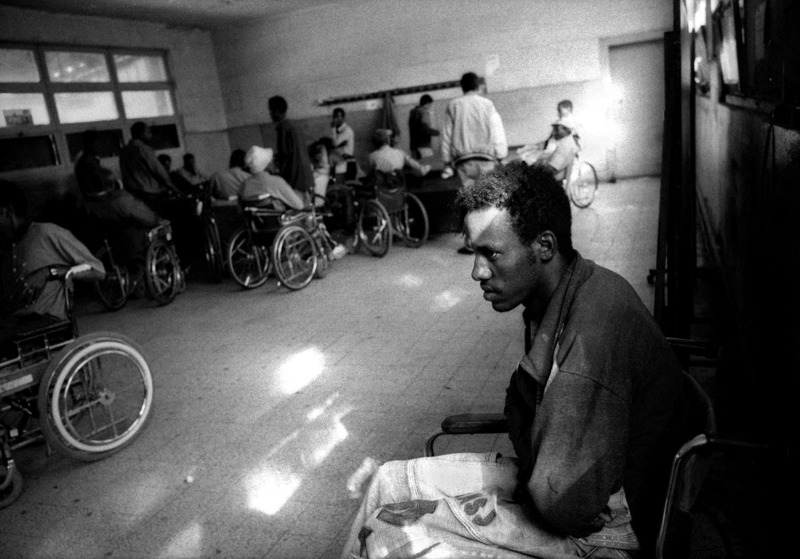 Eritrea, Asmara city.\nTesfaie, 23 years old, a wounded ex-fighter is satying with tens of others handicaped people in a military camp. Television and sports are the only occupations. Tesfaie's family lives in Nakfa city and comes one day a month.